HOLI HAI…!! Come HOLI and the streets will reverberate with the chants of Holi hai…!! Colors will fill the atmosphere as people throw scented colors in the air and on each other showing great joy. The legend from which the tradition of playing colors started is full of colors in itself. The story is about Indian GOD’s incarnation on earth as Lord Krishna. HE was jealous of his soul mate Radha’s fair complexion, since HE himself was very dark. HE complained to his mother about this injustice of nature. To placate the child, doting mother asked Krishna to apply color on Radha’s face and change her complexion according to his choice. Playful and mischievous Krishna appreciated the idea and implemented it. The game of applying colors thus gained so much popularity that it became a tradition and later it turned out to be a festival. The application of colors has in a way become an expression of love & affection. With the festival of HOLI round the corner, the festival of colors, I thought of exploring the colors of our life. Just as every color has a significant meaning & a different feeling, in a similar manner our life has various experiences showing us different visions & teaching us new learning. Just as the painter combines various dark & light shades of colors to build a masterpiece painting, in a similar manner GOD gets us through sweet & bitter experiences to develop us. And we know how all of the above are correlated with each other. For instance, we need mud, water & sunshine for plants to grow. For a strong foundation, a tree needs its roots to be bonded by mud & water. If they are strongly bonded then the tree becomes strong enough to face the strong winds, heavy rains & storms. But, this is what we see when we see the wholesome picture. Try separating out the things in pieces and you will see mud & water as dirty puddle of mud. You will see bright sun as hot sphere of fire. You will see oceans as a sinking place. Now, coming to our lives, we all do face good and bad situations. And these bad experiences & struggles infact, makes us strong. They help us face the world with more maturity & good judgment. Too much brightness can make you blind. So, there are different shades in our lives also which make it colorful. The blend of good and bad helps us realize the importance of one over other, teaches us how to respect and enjoy the good phases and how to tackle & learn from the bad phases of life. 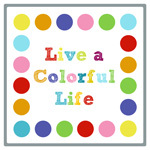 Have you ever observed that kids usually love bright colors, as they see the brighter sides of life that time. They are innocent and pure enough and look at their surroundings with positive outlook, trying to find happiness in every little thing around them, trying to enjoy every bite of food that they get, trying to smile on every loving word spoken to them, trying to feel the bright sunshine & the cold breeze. As we grow up, we start understanding the significance of light colors also. It is a combination of bright & light that starts appearing good to us, because with time we become matured enough to feel the importance of both day & night, rain & sunshine, positives & negatives. To live a balanced life we need a blend of all these. This entry was posted in Festival and tagged Blog, COLOR, Enjoy, family, God, happiness, HOLI, Inspiration, Life, lifestyle, MISCALLANEOUS, opinion, personal, Thoughts by Akanksha. Bookmark the permalink. Wishing You and your Family a very Happy Holi . wishing a very happy & colorful holi to u and your family! Glad you visited my blog. 🙂 . I loved this post. hey nice thoughts and always you make me think the other side of life.. thank you.. and happy holi to you too..!! Hi…Thanks for reading & appreciating..Hope you too had a Happy & colorful Holi..! !